Tuesdays at 1pm Eastern time CLEAN Network members meet in a teleconference to collaborate and share information about their literacy work, upcoming events, opportunities for collaboration or funding. Frequently guest speakers present on the topic of climate and energy literacy. Search or browse the Collection of Climate and Energy Educational Resources, learn more about teaching climate and energy science, and explore the educators' toolbox. Join the CLEAN Network, sign up for the project's email list or newsletters, follow us on social media, attend an event, and more! Learn about the variety of organizations that partner with CLEAN. 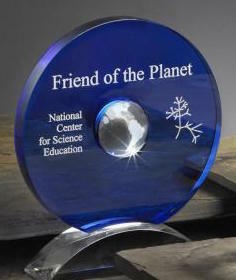 CLEAN was awarded the 2017 Friend of the Planet award by the NCSE!